A new poll from the Pew Research Center, a nonpartisan fact tank that studies trends, found that many Americans fear they cannot discern a bot from an actual person on social media. 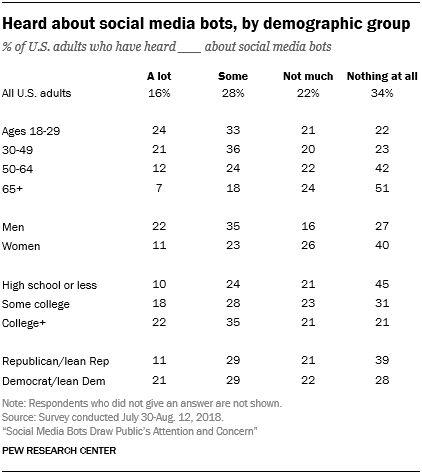 This study did not tackle the percentage of people who have been fooled by bots, but more simply, what general knowledge and awareness Americans have. About half — 47 percent — of the people who’ve heard of bots feel confident or somewhat confident that they can recognize one on social media. Only seven percent felt they were very confident. This is contrast with another study done by Pew in December of 2016 that found 84 percent of Americans felt they could readily recognize fake news. According to the study, about 66 percent of Americans have heard of social media bots– to at least some extent — and are aware of their existence. Another 34 percent had never heard of bots at all. The margin of error for the 4,581-person sample was 2.4 percentage points. When it comes to awareness, it’s no surprise that younger Americans have a higher likelihood of knowing about bots. Between the ages of 18-49, it averages out at 77 percent. While from the ages of 50-65 or older, 58 percent or fewer were aware. And education too plays a factor, with 78 percent of people with a college degree are in the have-heard-of-bots camp and 55 percent with only a high school education are in the have-not-heard-of-bots camp. There’s even a difference in party affiliation, with democrats and left-leaning independents at 72 percent while republicans and right-leaning independents at 61 percent. But the one overarching feeling among bot-aware-respondent are that faux Tweeters are being used for mal intent. Eight-out-of-ten surveyed felt that bots were being used for bad purposes while only 17 percent felt that bots were an instrument of good. Already social media sites are catching up with the influx of bots. Twitter claims to be blocking 10 million suspicious accounts per week. 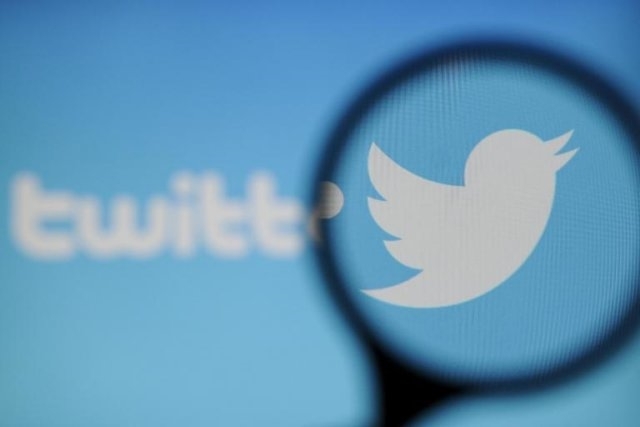 Earlier this year Pew put out another study which claimed that out of 100,000 tweets, 59 percent were suspected to be from bots. And as bots continue to get more sophisticated, delineating human from troll-algorithm will increasingly become more difficult.